Healthcare professions face complex care environments with growing attention to the number of preventable hospital deaths. Interprofessional communication and teamwork are key elements in reducing medical errors, and are core competencies of interprofessional collaborative practice. Interprofessional education occurs when students from different disciplines learn together, and/or when faculty from one discipline instruct students in another. Simulated healthcare scenarios provide high-impact learning environments for students with many benefits. Simulation-interprofessional education has been used very little between Clinical Laboratory Sciences and BSN nursing students. The faculty from a growing university sought to improve student-learning outcomes through team-teaching and student role playing in simulation and science laboratories. Two IPE projects were undertaken. Both projects demonstrated increases in the cognitive, psychomotor and affective domains of learning. Healthcare professions face complex care environments with growing attention to the number of preventable hospital deaths.4 The modern healthcare setting requires a deeper understanding of the multiple factors that contribute to patient outcomes. Interprofessional communication and teamwork are key elements in reducing medical errors, and are core competencies of interprofessional collaborative practice (IPCP). The tenets of IPCP can be introduced into the curriculum of healthcare students. At our university, the administration promoted IPCP by funding projects that involved interprofessional education between departments in the College of Health. Interprofessional education (IPE) occurs when students from different disciplines learn together, and/or when faculty from one discipline instructs students in another. The Interprofessional Education Collaborative Expert Panel (IPEC) designated four core competency domains for IPE to increase quality and safety in healthcare. The interprofessional communication domain concentrates on effective communication between professions. The values/ethics domain aligns professional values with ethical considerations for healthcare and attitudes. The roles/responsibilities domain is intended to develop complementary professional relationships. The teams and teamwork domain promotes team-based care.5 The IPEC competencies align well with Bloom's Affective Domain.1 Table 1 lists the categories in the affective domain, and cites specific examples from the IPEC core competencies that align to the categories. There is no direct alignment between the lowest level (receiving knowledge passively) and the IPEC core competencies. The Nursing Skills and Simulation Learning Center (NSSL, aka SIM-lab) at our university is set up to look like a hospital wing. The hospital beds are occupied by high-fidelity Laerdal manikins (Wappingers Falls, NY) capable of voice interaction, audible heart, lung, and bowel sounds, and palpable pulses. The NSSL suite includes a debriefing room with a large video display that records and projects activities in the bays. We used the SIM-lab to indoctrinate the BSN and CLS students to IPE. Prior to a simulation experience, the students are presented with a patient scenario during a briefing session. Students are prompted to discuss the course of action, prioritize care needs, and gather any necessary information. The simulation experience can be video recorded, and students can review their actions during debriefing and receive peer and instructor feedback. During the session, students role-play in small groups with assigned healthcare roles, and observation roles. Observation students evaluate the participating healthcare students using a formative assessment tool. For nursing students, roles are assigned as the primary caretaker, a secondary caretaker as assistant, and a resource caretaker responsible for communication and/or documentation. Roles can be assigned as family members to simulate family-centered care and family conflict. Other universities have utilized simulation to introduce IPE. The author had the privilege of personal experience with SIM-IPE for practice immersion hours at the University of Miami (UM) IPE Patient Safety Course. The course was attended by UM medical and nursing students, and the students had a variety of opportunities to practice communication and teamwork. SIM-IPE is often a single experience, but the University of Colorado also has a successful program for medical, nursing, pharmacy, dentistry, physical therapy, and others. This program has been in place since 1999, and all students participate in SIM-IPE.10 Other examples were found through a refined search (i.e., scholarly & peer-reviewed, journals, and nursing) of CINAHL Plus and MEDLINE databases using the search term simulation interprofessional education, which resulted in 730 articles. One systematic review by Zhang and colleagues reviewed 25 studies using a variety of designs, and reported positive outcomes from all authors (i.e., students' satisfaction with and perception of learning, time to complete tasks, and observable target behaviors).11 More research is needed to define best practices for IPE between Clinical Laboratory Sciences (CLS) and nursing students. The use of IPE provides an efficient way to teach and assess multiple domains, and now many accrediting bodies incorporate IPEC language in the curriculum requirements.12 The CLS program at our institution is accredited by the National Accrediting Agency for Clinical Laboratory Sciences (NAACLS). 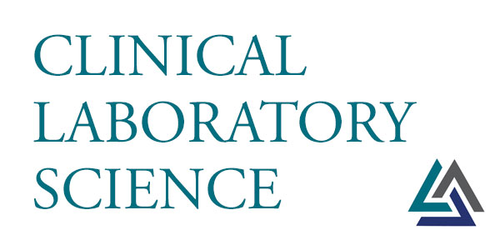 While the NAACLS document does not specifically refer to IPEC, Standard 8A5 of the NAACLS accreditation document requires that the curriculum cover “Communications sufficient to serve the needs of patients, the public, and members of the health care team”, and Standard 8A7 requires that “Education methodologies and terminology to train/educate users and providers of laboratory services.” The IPEC core competencies incorporate these standards, and fully address teaching and assessing affective domain. The IPE projects discussed here provide excellent examples for the accreditors' review. We share them here as models for other CLS programs who are interested in devising an IPE project for this purpose. The faculty and students gratefully acknowledge the Dean of College of Health, Dr. Ermalynn M. Kiehl, for supporting IPE at the University of West Florida.
. 1971. Handbook on Formative and Summative evaluation of Student Learning. McGraw-Hill, Inc.
NAACLS standards for accredited and approved programs. Retrieved from www.NAACLS.org. Accessed 12/9/2016.
. The Essentials of baccalaureate education for professional Nursing Practice. 2008. Retrieved from http://www.aacn.nche.edu/education-resources/BaccEssentials08.pdf 12/13/2016.
. Medical error-the third leading cause of death in the US. BMJ 2016: 353.
. Core competencies for interprofessional collaborative practice: Report of an expert panel. Washington, D.C.: Interprofessional Education Collaborative. 2011.
. Ensuring quality & taking High-Impact Practices to scale. Washington, DC: AAC&U. 2013.
. Does Simulation-based Medical Education with deliberate practice yield better results than traditional Clinical Education? A meta-analytic comparative review of the evidence. Acad Med 2011;86(6):706-11.
. Promoting patient safety through Interprofessional Education Simulation. Clin Lab Sci in press.
. Interprofessional education and healthcare simulation symposium. 2012 Retrieved from http://www.ssih.org/LinkClick.aspx?fileticket=FQKvyEp0k3k%3D&portalid=48 12/13/2016.
. A review of simulation-based interprofessional education. Clinical Simulation in Nursing. 2011;7(4):e117-26.
. Interprofessional Education Accreditation Standards In The USA: A Comparative Analysis. J Interprof Care 2013;27:123-30.